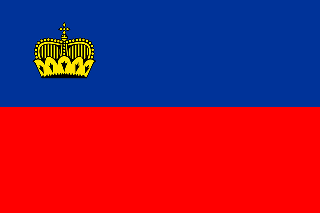 Liechtenstein is a tiny principality in Europe. It's bordered by Switzerland and Austria and has a population of only 37,000 - with only around 5,000 of those living in the capital city; Vaduz. As you've probably already read there was a clear reason we traveled to Liechtenstein. That was to tick it off from the European Beer Challenge. I knew about the Liechtensteiner Brauhaus before arriving, but had no idea of the extent of the range they produced! You can read my review of their Hell's here. My first beer in Liechtenstein was in a restaurant in Vaduz. It was a short walk from where we were staying into town and I was very pleased to see a local beer alongside the Swiss offerings on the menu. It was the Liechtensteiner Brauhaus Hell's, the beer I ended up reviewing in the European Beer Challenge. It's a beer that really impressed me, with it's light fruitiness a real point of difference. Another beer I've already reviewed in full was next; Presidente from the Dominican Republic, which you can read about here. Appenzeller Vollmond Bier followed, a beer brewed on the night of each full moon. The backstory is interesting, if a little gimmicky, but the beer was quite poor. It was sweet and skunky with very little hop presence. 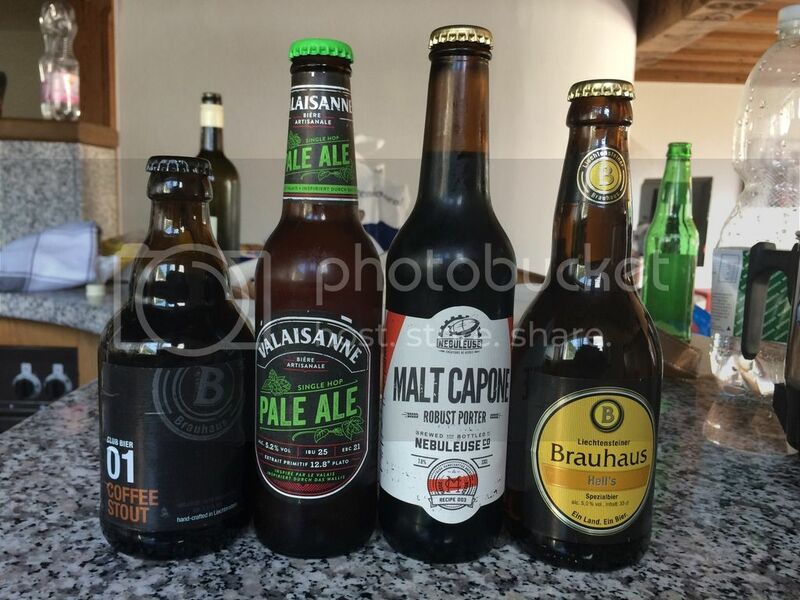 As La Nebuleuse impressed me so much in Switzerland, I decided to get a couple more of their beers to try. Embuscade, their American IPA, was the first to get a run. At first I loved it! It had lovely citrus hop flavour and good bitterness as well as lots of caramel malts. By the end the malts became a little cloying for me, and it wasn't as enjoyable. Still it was a nice IPA. Calvinus Blanche was next, it was marketed as a witbier, but was definitely more in line with a Hefeweizen. There was quite liberal amounts of banana and even a hint of cloves, I'd drink it again for sure! I rounded off the night with a Rochefort 10. It really is a spectacular Quad, rightly put up alongside Westvleteren 12 and the St. Bernardus ABT 12. The next day after a lovely hike through the hills around Vaduz I had another Liechtensteiner Brauhaus Hell's. It's a very good lager to pair with food. After this we took the bus to Schaan, Liechtenstein most populous town, to visit their brewery! At the brewery we met one of the brew hands, who ran us through a few beers from the range. First up was the Liechtensteiner Brauhaus Alpen Pale Ale. It was a very impressive, fruity Pale Ale. Their Lime beer, which was a radler, was also pretty good tasting like a lime cordial and being quite spritzy and refreshing. I finished having their Weiza, a Hefeweizen that the brew hand raved about. He was right to, it was an excellent Hefeweizen which has apparently won some awards in Germany, high praise indeed! Lizzie and I had quite a few beers to knock off before our flight the next day. St George Beer was first up back at the apartment, I can't say I'm surprised that it wasn't great. Anyway, here's the full review. Bolivia's Pacena was next, for some reason I haven't posted the review, I'll search through my drafts and put it up soon. The Liechtensteiner Brauhaus Hell's I reviewed was the last lager for the night, and was as enjoyable as it has been to this point. 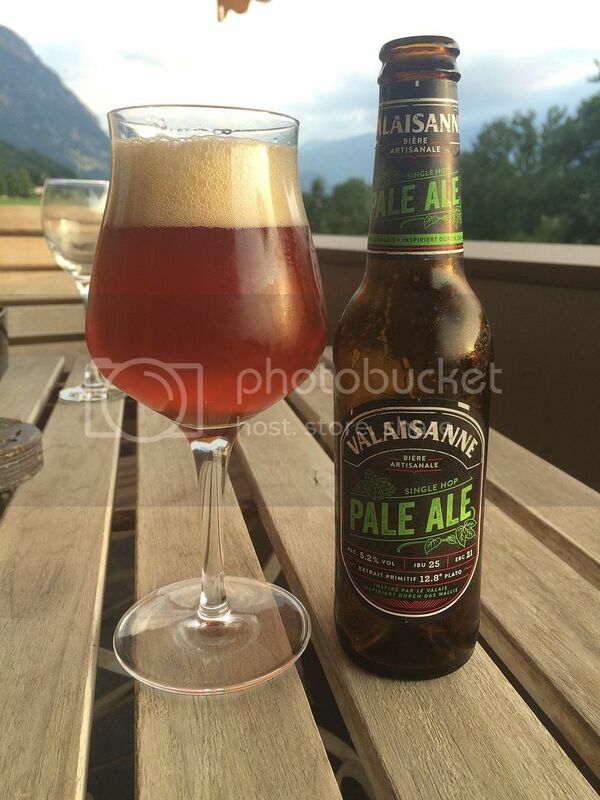 Valaisanne Pale Ale from Switzerland was quite a light bodied Pale Ale, despite it's appearance at the top of the page. Whilst the BrasserieTrois Dames IPA was an excellent IPA, with great bitterness. 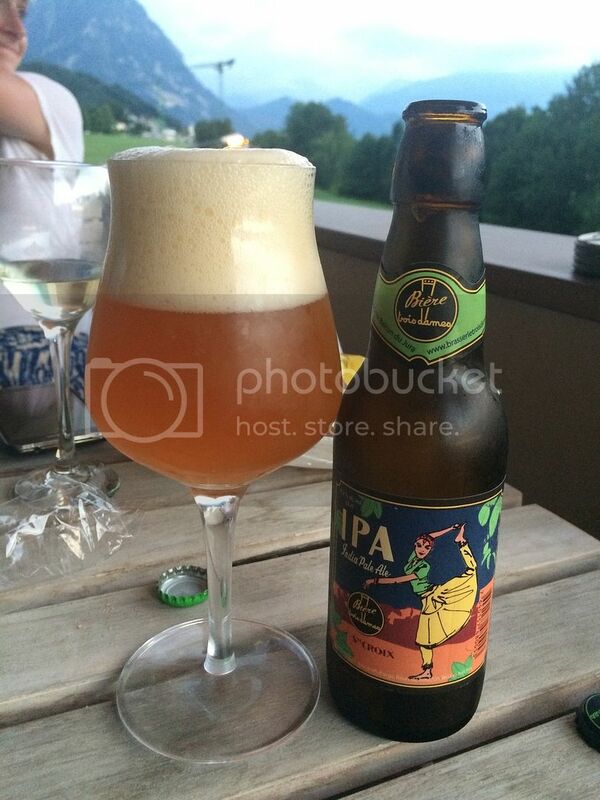 It was the best of the hop forward beers that I had from Switzerland. I said "hop forward beers" because the La Nebuleuse Malt Capone was clearly the best Swiss beer I had on my trip. It was a particularly chocolatey Porter with a great, slightly creamy body. This was a wonderful beer and one that I would love to try again in colder weather. The last beer of the evening was from Liechtenstein's own brewery. It was their Coffee Stout, bought because the guy at the brewery said they make it for internationals because the Liechtenstein public are not overly into dark beer (or at least not into theirs...). After tasting it I can sort of see why. There was some coffee flavour, but not heaps, it was more roastiness than anything else. 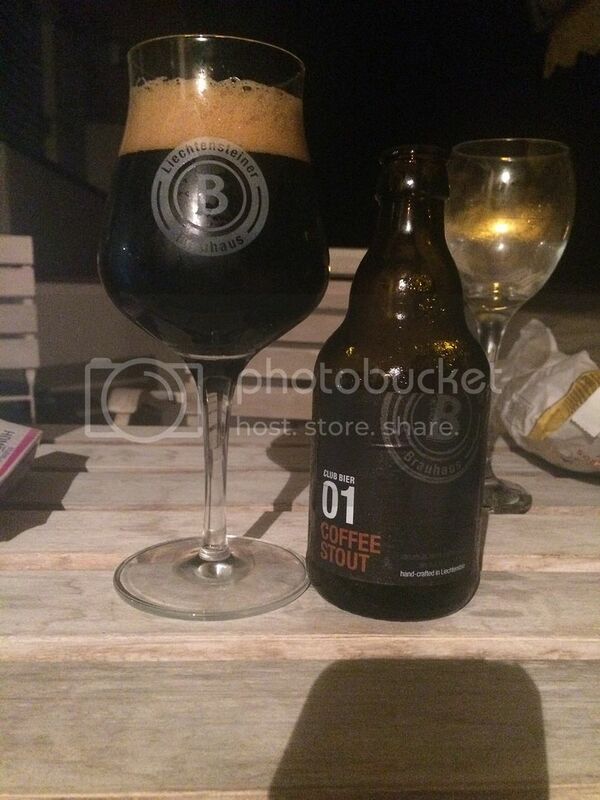 The mouthfeel was a little thin as well, it wasn't a particularly bad stout - it just wasn't particularly good either. So there we have it guys, that's my wrap up of Liechtenstein. I'll look to find and fix up that Pacena review tomorrow for you and then there will be just 2 countries to go on the Eurotrip - they're both partly written so hopefully won't be too far off. The huge surprise review will follow after that, in a week or two after my liver has recovered from it's holiday induced exertions. Keep the feedback coming guys, I think I'm back up to date will emails so let me know if I've missed yours.